BRC-03016 Units: 1 kit/ 7 pcs. total Create colorful animal sugar cookies. 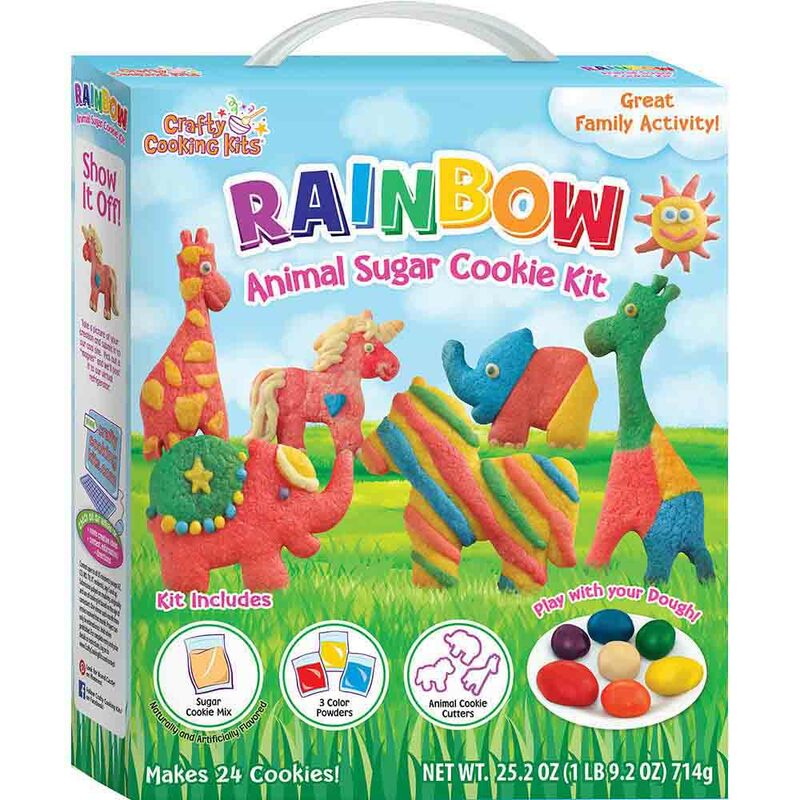 Kit includes enough ingredients to bake 24 cookies: sugar cookie mix, 3 color powders, and 3 animal cookie cutters. You will need butter and eggs to make the cookie dough. Create colorful animal sugar cookies. Kit includes enough ingredients to bake 24 cookies: sugar cookie mix, 3 color powders, and 3 animal cookie cutters. You will need butter and eggs to make the cookie dough. Ingredients: Sugar Cookie Mix: Enriched Wheat Flour (Wheat Flour, Malted Barley Flour, Niacin, Reduced Iron, Thiamine Mononitrate, Riboflavin, Folic Acid), Sugar, Natural and Artificial Flavors, Baking Powder (Sodium Acid Pyrophosphate, Sodium Bicarbonate, Corn Starch, Monocalcium Phosphate), Sodium Bicarbonate, Salt. Color Powders: Dextrose, Water, Red 40 Lake, Blue 1 Lake, Yellow 5 Lake, Yellow 6 Lake.